Product #22055 | SKU NE8FAV-Y110 | 0.0 (no ratings yet) Thanks for your rating! 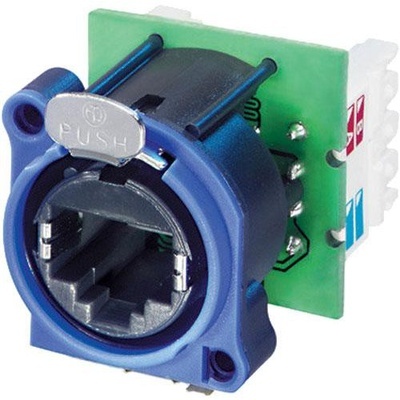 The Neutrik Panel Mount RJ45 Ethercon Receptacle is pretty rugged and is equipped with lockable connector system. It is shaped to fit into standardised panels to optimise professional audio, video and lighting networks. It is color coded for various wiring applications.